ERREVO DUE Ergonomic Computer Office Chair Seat Cushion with lumbar support. 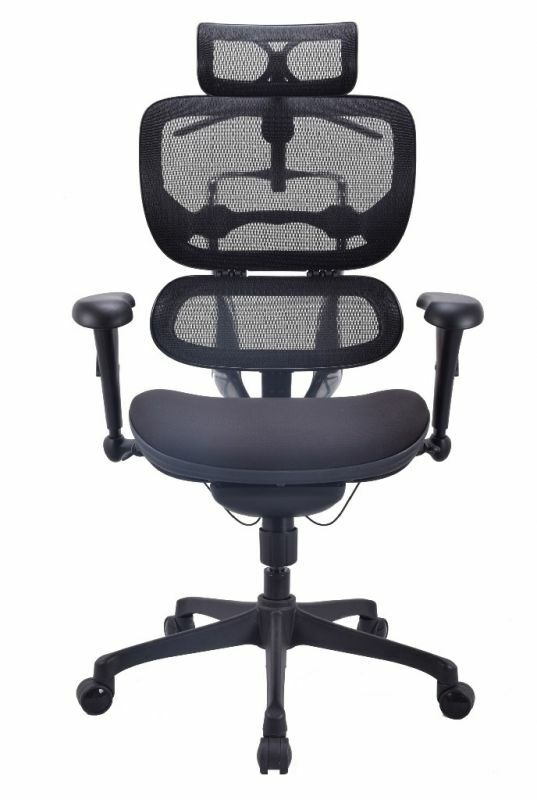 ERREVO DUE Ergonomic Computer Office Chair Seat Cushion with unique Automatic Lumbar Support (ALS) System. Automatic Lumbar Support gives your back comfortable support. ALS System intuitively adjusts itself to your body every time you move. Responding to your weight, height, position, and the amount of pressure you place on it, the ALS System pivots with you, keeping you comfortable and supported even as you change positions. Synchro-reclining mechanism enables the user to make adjustments to match one’s natural posture while sitting. You can use the lever on the lower right to adjust the seat height up to 100mm. The reclining angle can be adjusted with the lever located under the seat on the left. You can choose either free rocking or your favorite angle. 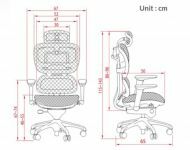 Independently adjustable backrest lets your raise the ALS Systeme to fit the curve of your back. Bring the lumbar support to a comfortable position and relax while it supports the natural shape of your spine. You can easily adjust the armrest up to 100mm while sitting. The wide-type large headrest can be adjusted in height to gently support the occipital region. The headrest can be adjusted tilting forwards and backwards. ERREVO DUE’s aluminum frame has the extraordinarily simple design with breathable mesh and sets a new standard for office seating comfort and personal style.